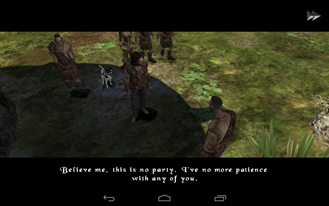 In this game, you play at the Bard, a roguish wanderer and occasional monster slayer. You arrive in the town of Houton with little more than a lute and an empty coin purse. It all starts with a rat problem, and before you know it, you're getting quests all over the place. It's not all bad, though. The Bard has an affinity for sarcasm and witty quips, and he gets plenty of chance to use them. Before The Bard's Tale even got underway, I was impressed with the serious RPG aspects of the game. You get to customize the skill points the Bard has. You can crank up strength to be a melee brawler, or dump points into dexterity to master the bow. 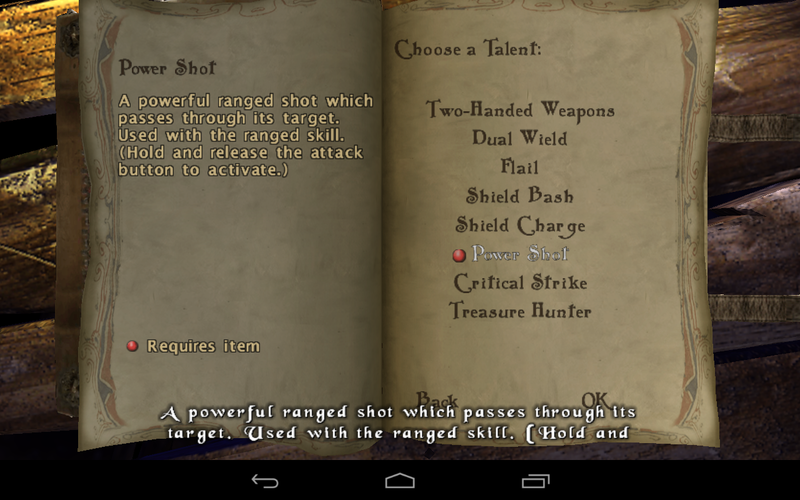 There is also a talent system that lets you add various perks, like dual wielding or critical hit multipliers. As you gain experience from slaying monsters and completing quests, you will level up and get more talents and skill points. This is a real honest-to-goodness RPG. As you encounter the mass of quirky NPCs you will accumulate quests, which can always be reviewed in your quest log. 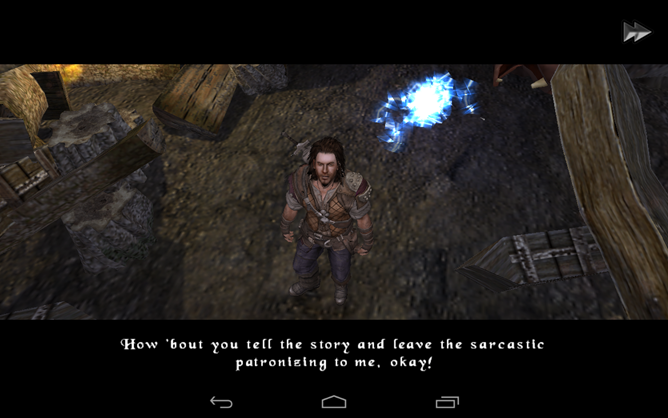 When the Bard is engaging in conversation, you can choose if you want to make polite or snide responses. This can affect how the NPCs deal with you, and what they tell you. You will occasionally pick up an NPC follower, but most of your backup comes in the form of conjured beings. Many of the early quests have to do with learning new magic to improve these conjuration skills. 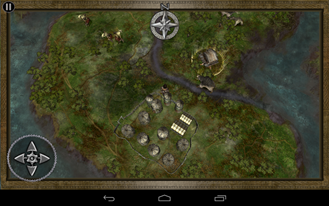 There are a number of towns and areas to explore. Each one has shops and quest triggers sprinkled throughout. 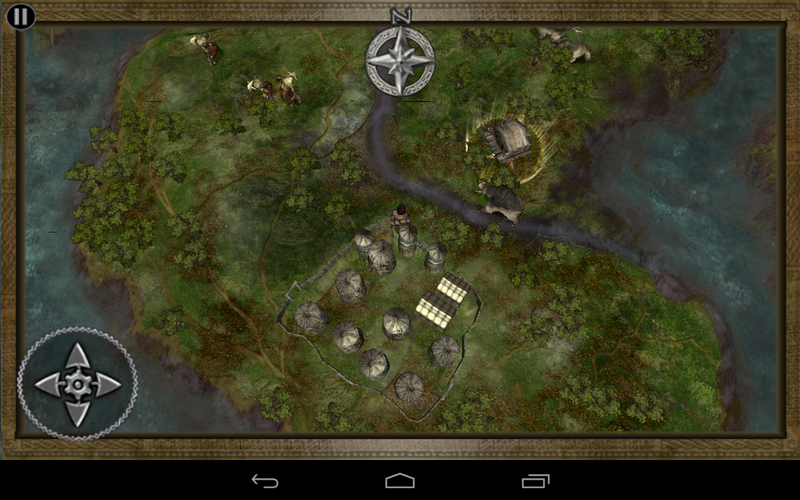 There will also be a number of zones attached to each town where most of your quests are locations. You can think of these as dungeons if you like. If you're worried that this is sounding too serious, don't fret. This game is literally 'laugh out loud' funny. A few minutes in and I was bombarded with double entendres, skillful sarcasm, and dry wit. 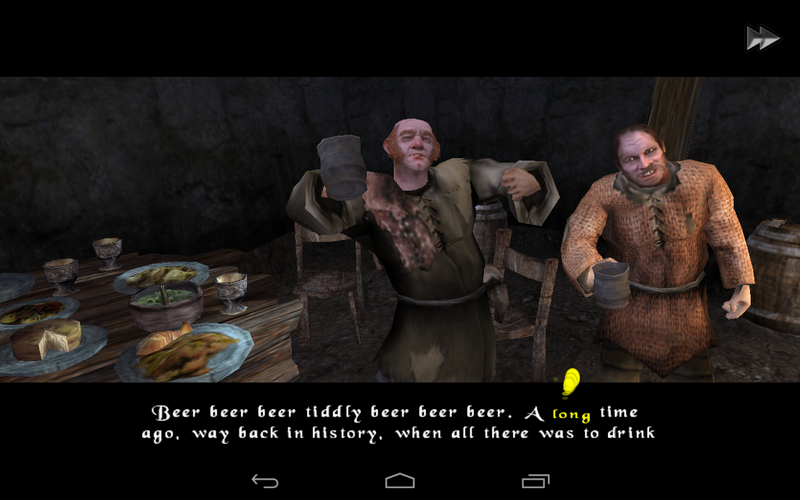 I think the moment I fell in love with the style of The Bard's Tale was when three drunkards in the pub led me in a 2-minute sing-along about the invention of beer. The dialog is well-written and delivered with masterful narration. 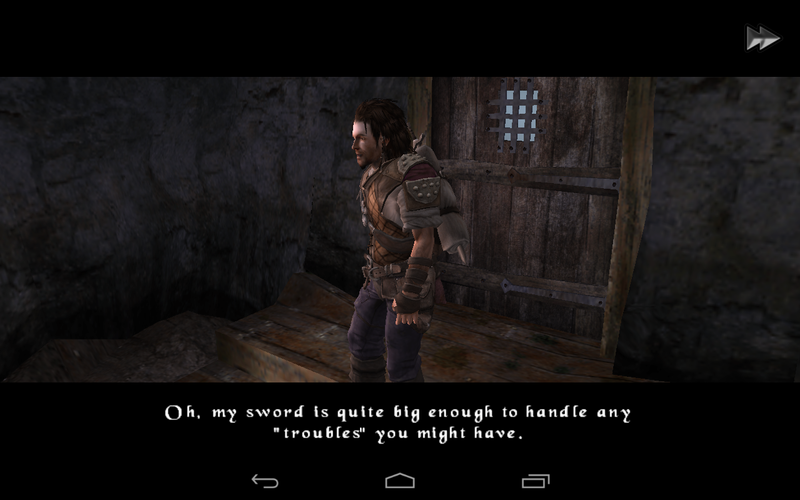 It pokes fun at the tropes of RPGs and video games in general. The Bard gets confused when the tutorial NPC keeps talking about buttons he can't see, and the narrator jokes about monsters that seem to have eaten the contents of a small treasury (because they drop so much loot). Basically, The Bard's Tale feels like a game created by Monty Python. 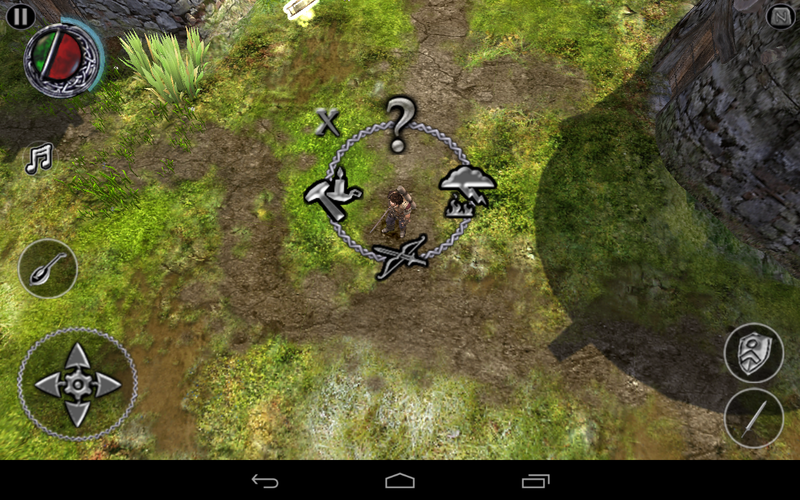 The controls in The Bard's Tale are all touchscreen based, as you might expect. I find that everything works well overall, but it's a little rigid. You control the Bard's movement with a thumbstick off to the left. It doesn't popup wherever you press like many games, so you have to remain aware of your thumb position – it's easy to lose it when you're not looking. On the right side are attack and block buttons, which behave as they should. There isn't a ton of strategy involved in combat – just attack, block, attack – but it gets the job done. You can switch over to full touch for movement in the settings, but I find this more awkward. You also have an equipment button and (importantly) a music button. Music is key to all the magic in The Bard's Tale. This is how you cast spells to conjure allies, heal yourself, and light your way in the dark. The menu that appears when you are playing songs is a little confusing. There are categories of spells, then specific songs when you tap through to them. 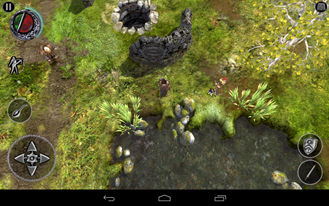 You might summon elemental creatures that help you in battle, warriors with swords and bows, and more. This is a compelling part of the experience and really helps keep things fresh. I found that I occasionally got myself turned around when a zone loaded in an orientation I was not familiar with. I'm not sure why this happens, but you can use a two-finger twist gesture to spin the world however you like. 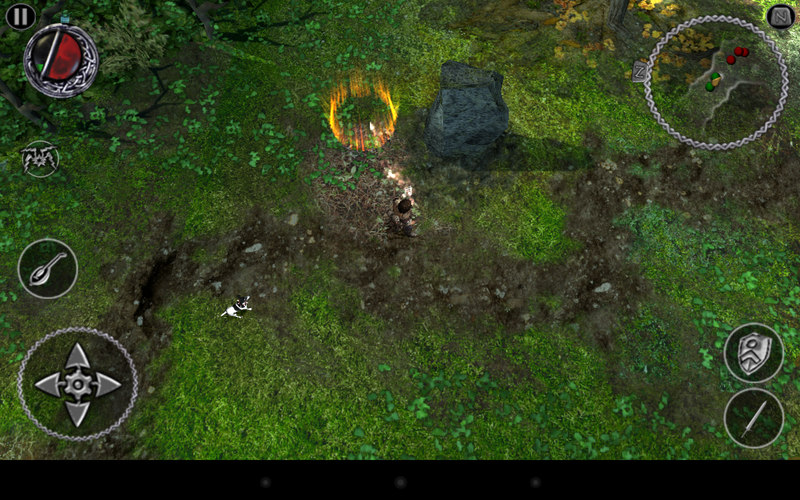 Up and down swipes on the screen also change the aggressiveness of your allies. 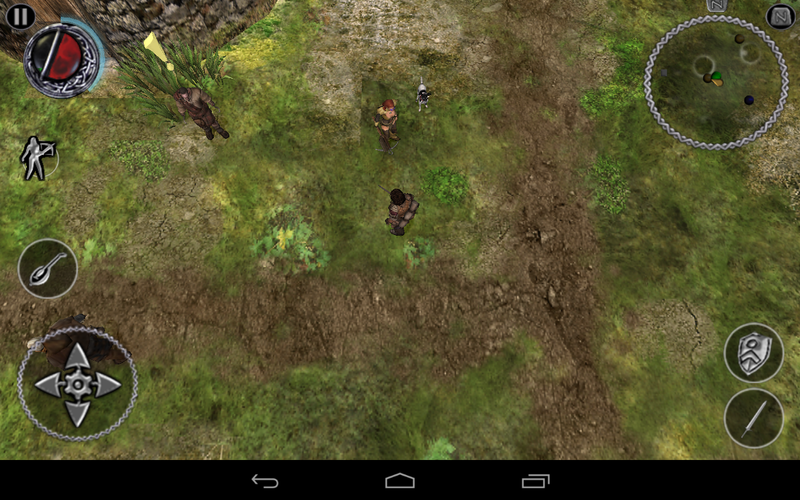 If you have a Tegra 3 device, The Bard's Tale gives you the option of downloading high-resolution assets instead of the regular ones. If you do this, it's a very attractive game. You can zoom in just a bit to get a better look at the graphics, but everything looks fine from the normal distance. The Bard stands out well against the background and none of the NPCs or monsters are blurry. 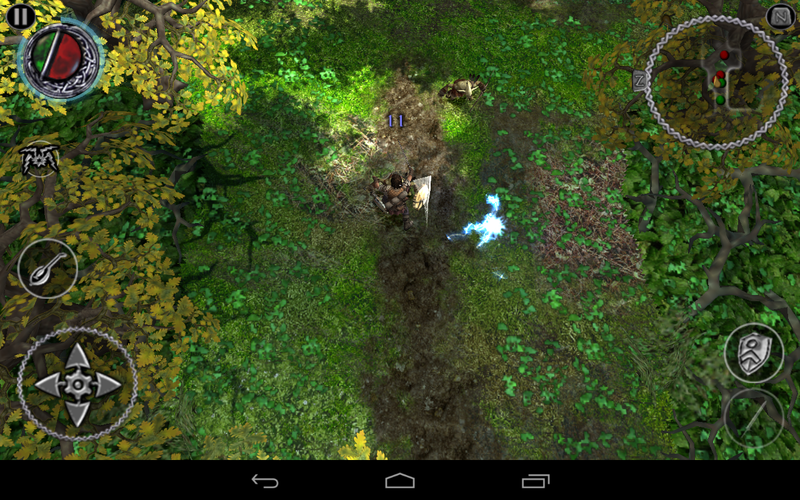 Most of the textures are clean and sharp on a Tegra 3 device. Since this is a top-down game, many objects like trees and buildings will rise up close to the camera POV. The leaves sway gently, and the stonework on the towers looks very cool. The perspective on all these objects shifts realistically as you walk along. The lighting effects are also solid and the colors are nice and bright. All this helps to make it feel more immersive. All the cutscenes in this The Bard's Tale (and there are a lot) are done with the in-game engine. Usually this is a recipe for disaster in mobile games. In this case, things still look good close up. A few textures are noticeably blurry, but there is very little aliasing (jaggies) and detail is good. 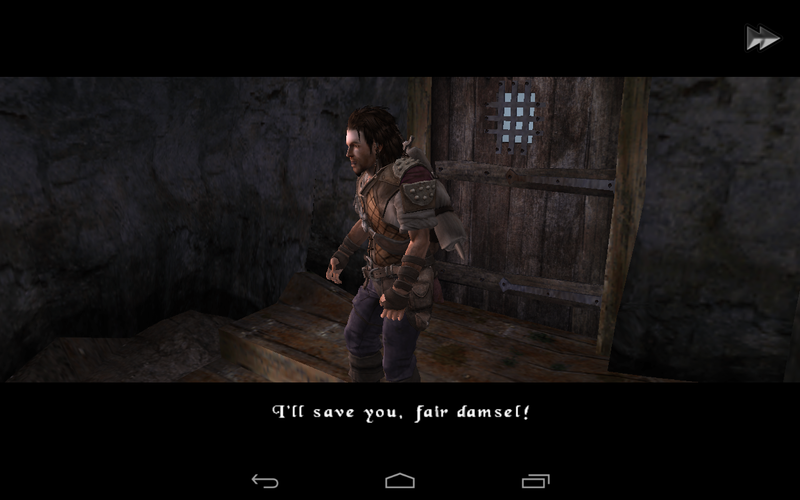 The Bard's Tale just looks very polished. I would be remiss if I didn't explain the painful installation procedure to counterbalance the high quality of the game itself. 3.5GB is a lot of data, and this is all handled outside of Google Play. All you get from Google is a 14MB APK that triggers the files to download upon opening. 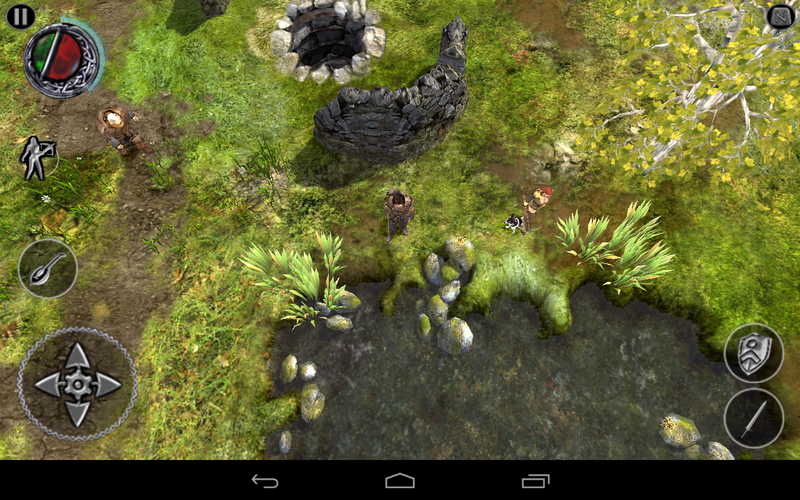 You will be offered a 1.8 or 3.5GB download on Tegra devices. If you choose the big Tegra-optimized package, get comfortable. The download was horribly slow for me, taking about 5 hours to fully download. The download even crashed a few times. I was able to resume the download where I left off, but if I hadn't been paying attention I could have come back hours later to an error message instead of the game. 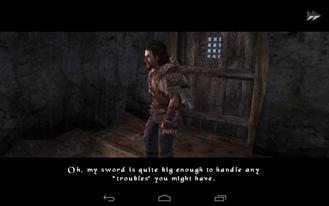 There have been big games on Android before, but The Bard's Tale is abound twice the size of previous titles we've looked at. It might not even be so bad if the game files were hosted through Google Play. In that scenario, the massive file would be pushed down to your device in a much more orderly fashion. I hope the servers get a little faster now that it's out. I have had a blast playing The Bard's Tale. I don't claim to have a universal handle on what is funny, but I think this game is hilarious. If you don't care for this kind of wacky humor, it is going to feel very tedious because of how much dialog there is. The game is visually awesome, of course, and it's just generally fun to play. While this title itself is wonderful, I have two concerns. First is the soul-destroying installation process for the HD graphics described above. 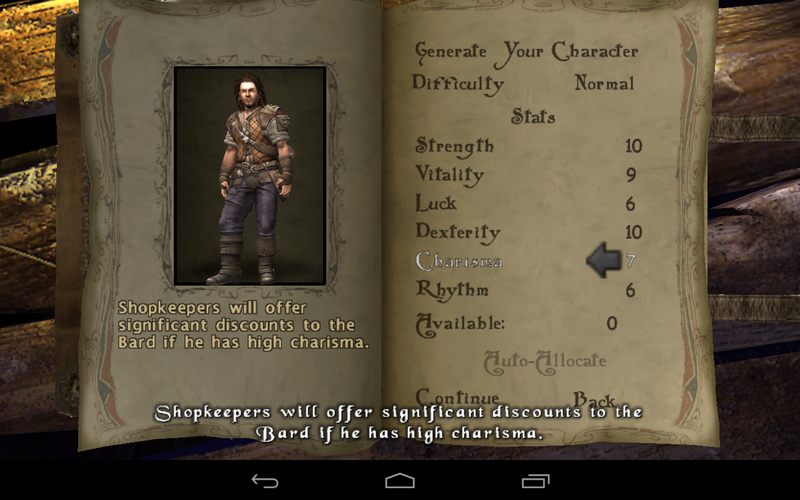 The other is that in addition to costing $6, The Bard's Tale has in-app purchases. You aren't required to use them, and I didn't feel like it was pushing me strongly in that direction. It's just a way to buy high-end equipment instead of finding it in the game. The pricing seems reasonable, but it still makes me a little uncomfortable and I know many users will be displeased. Overall, this game is killer if you can deal with the massive download. 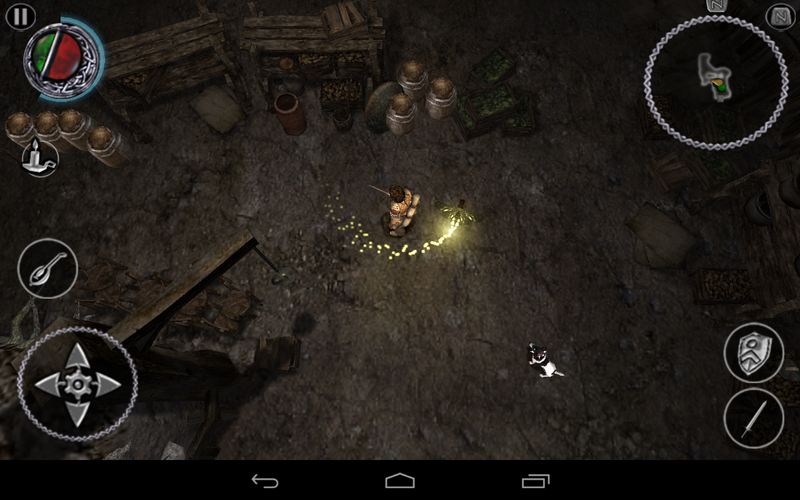 RPG fans will definitely want to check this one out.